Former Red Hot Chili Pepper and ace Celebrity Poker shark Dave Navarro will take a break from copulating with super-hott wife Carmen Electra to host CBS' Rock Star: INXS. Navarro will be team with Brooke Burke, helping sift through lead singer wannabes on the upcoming CBS reality series. The winner gets to tour and cut an album with the members of rock band INXS- that is, the ones who are still alive. Rock Star: INXS premieres on July 11 at 9pm ET. Continuing the influx of Sopranos actors to NBC's Law & Order franchise, Annabella Sciorra has agreed to join Law & Order: Criminal Intent alongside Chris Noth next season. Sciorra will play detective Mike Logan's (Noth) partner. This fall, Noth and Sciorra will alternate with CI's current series stars, Vincent D'Onofrio and Kathryn Erbe. Each pair will front 11 of the season's 22 episodes. No word whether her character will throw a roast beef at Noth's head. Comedy Central is developing a game show featuring former Jeopardy! champion Ken Jennings, who shattered game-show records last year by winning $2.5 million. The untitled project is expected to premiere by the end of the year. Can you feel the excitement? Dave, Why Won't You Call? Comedy Central's Dave Chappelle has snuck back into the states. The flipped-out mega millionaire, who ran away to South Africa late last month, was spotted last week in his home town of Yellow Springs, Ohio, according to the Dayton (Ohio) Daily News. But network says he hasn't called yet to restart production on season three of Chappelle's Show. 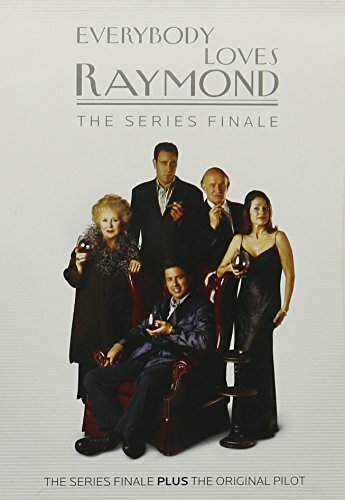 If you're like me, you were busy watching 24 and missed last week's finale of Everybody Loves Raymond. Well, don't fret: it's out on DVD today. It's just ten bucks- and includes the pilot as well! Such a deal!